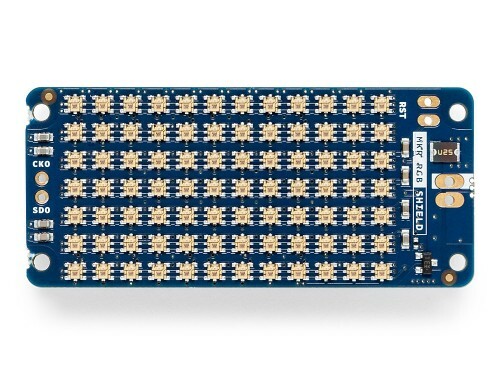 84 LEDs at your service! 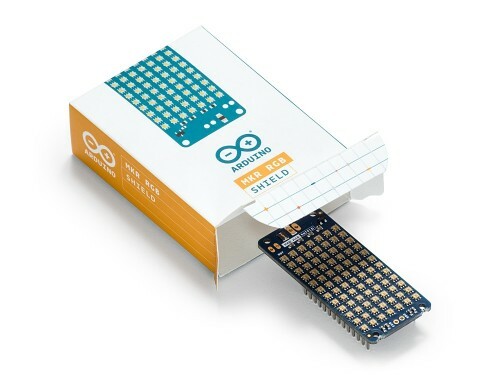 Write messages and add graphics with this shield. A ready to use library with examples and methods is available for use to easily write static and scrollable text. 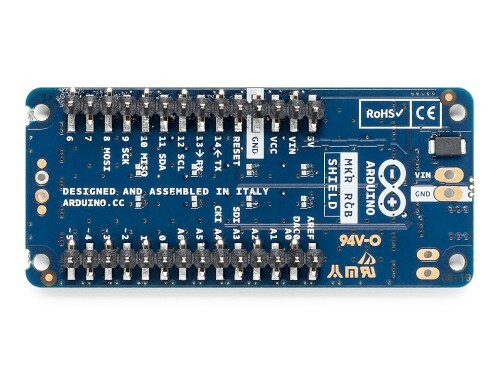 You can use this shield to show values from your board and is controllable from the Arduino IoT cloud. 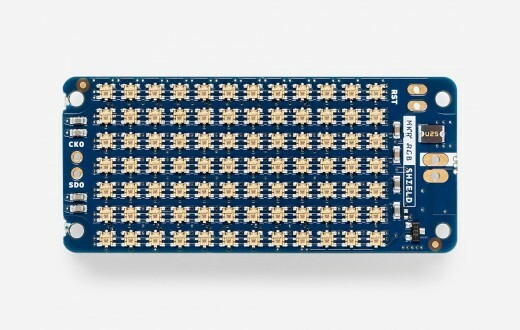 No need of solder, or special adapters, just plug the RGB matrix shield on top of your favourite MKR board and you are ready to go! The mounted LED's are very dense and bright, with full RGB colours! 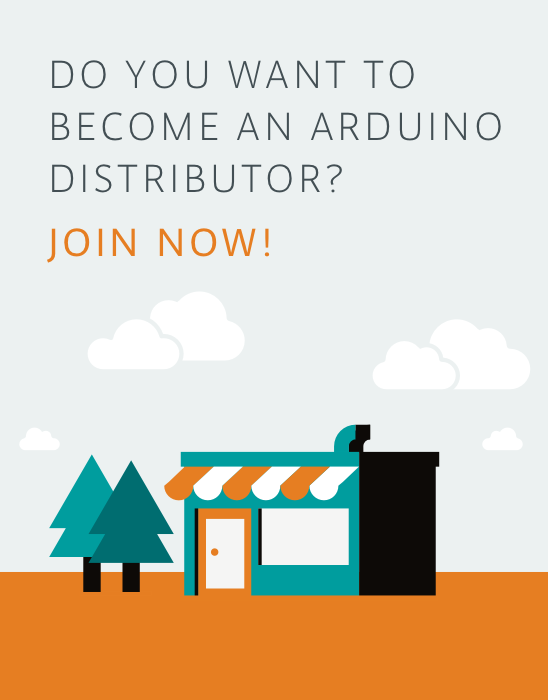 Don't miss our getting started guide that explains everything you need to use the shield! 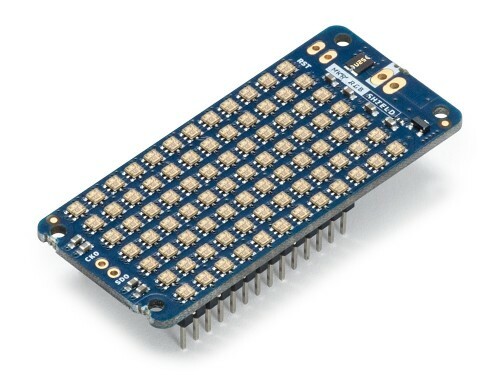 The new standard Narrow Band IoT, with the easy to use Arduino ecosystem.